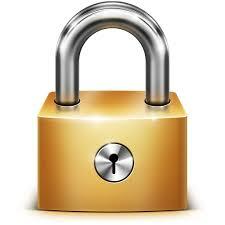 This turorial explains how to password protect a WordPress site. Why would you want to do this? There are a couple reasons. One reason is that you are updating your website, and you created a development version of your existing site. While you are working on the development site, you don’t want Google or the public to see it. Another reason is that your site is private and you want to hide if from the general public. It is especially important to password protect a development site. Even if you don’t register your site with Google, Google will find your site, probably within a few hours. If it’s a development site, this could cause problems. First, you don’t want people seeing your site while it’s under construction. Second, if your development site is a copy of your live site, Google will see it as duplicate content and might penalize both sites for having duplicate content. Furthermore, if Google finds your development site, it will index the site. Links to your development site will be visible in Google searches for a long time. First, install the plugin Password Protected. 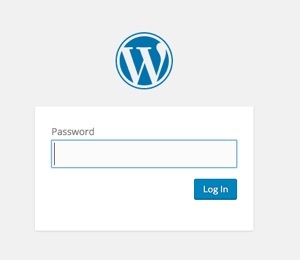 Once you install Password Protected, from the WordPress admin, go to Settings > Password Protected. The Password Protected settings screen is displayed. 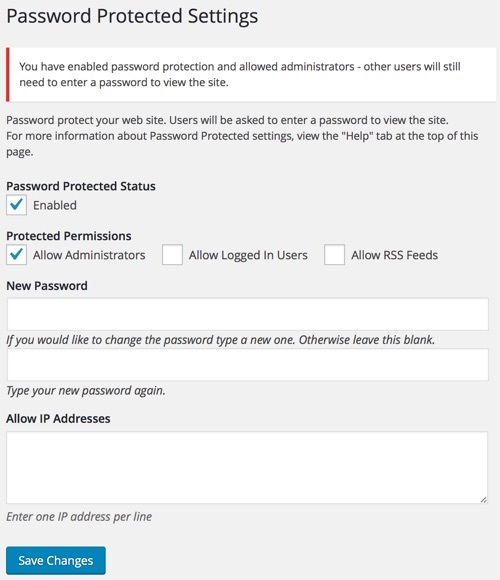 Check Allow Administrators to allow administrators to see the site without entering the password. You can also allow logged in users and RSS feeds to see your site. In the New Password fields, enter your password twice. That’s it. You’re done. To test it, visit your website, but make sure you are not logged in as an administrator. Instead of seeing your website, you will see a password box. If you don’t see the password box, make sure that you enabled the Password Protected plugin. If that doesn’t work, restart your browser.